July 25 is National Baha'i Day in Jamaica. This holiday was established only in 2003, since then it became very popular among the Baha'i communities. Even leaders of other religious communities join the celebration of this holiday. Originally celebration of National Baha'i Day was a one-time event that was proclaimed in 2003. The celebration of this day marked the 60th anniversary of establishment of this faith in Jamaica. 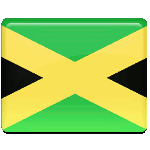 However, the next year Baha'is discovered that after proclamation this holiday became one of the features of Jamaica. Celebration of National Baha'i Day in Jamaica features various public and religious events. The most famous event is the Baha'i Day Breakfast that is sponsored by the National Spiritual Assembly. Leaders of various religious communities and the mayor of Kingston attend this event. Every Baha'i community chooses its own way to celebrate National Baha'i Day. Many communities organize activities involving children, prayer meetings, special services etc.